IPL 2018 RR vs KKR live streaming will be provided by Hotstar and AirTel & Jio TV apps. It’s the 15th match of the ongoing Indian Premier League season 11. You can watch live cricket match today online on Star Sports network as it’s the official broadcasters for this edition. Today’s t20 match will be played at Sawai Mansingh Stadium, Jaipur. As of prior to this particular match, Knight Riders stands at number 2 in the IPL points table 2018 with 4 played and 2 lost and 2 wins. While, Royals stands at number 5 with three played and winning two. If RR happens to win, then it will reach #2. And if, KKR wins, it will become the table topper surpassing Sunrisers Hyderabad (SRH). 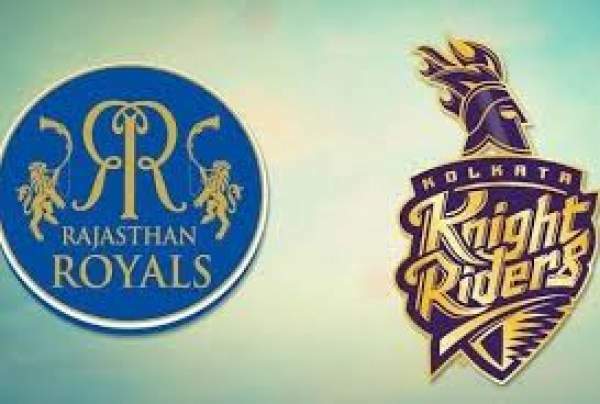 Rajasthan will be hosting Kolkata today at their home ground located in Jaipur, the capital city on Wednesday. The match will start at 8 pm IST while the toss will take place at 7:30 pm IST – half an hour before the game actually kicks off. Both the teams have arrived to this match with a win in their previous matches. Speaking of RR, Samson helped the team with his good performance with the bat. He displayed his class against Royal Challengers Bangalore (RCB) by scoring 92 runs off 45 balls. On the other hand, Nitish Rana and Russell are the key players for KKR. Rana made 50 against Delhi Daredevils (DD) while 47 runs off 12 balls were scored by Russell on Monday. If you want to watch the IPL t20 live on TV, then you can refer to the following channels. Star Sports 1 / HD and Star Sports Select 1 / HD will telecast it with English commentary. For Hindi viewers, Star Sports 1 Hindi / HD will provided in the ball by ball updates in Hindi language. However, if you don’t want to watch it television or don’t have the luxury, then refer as mentioned below. You can get the latest updates online via streaming it live. For doing so, you need to visit Hotstar.com, or Hotstar app or Jio TV app or AirTel Live TV app. You can access them on your smartphones or computers. These are the official broadcasters and streamers for this season. Rajasthan should be looking towards their third consecutive victory in IPL season 11.